With the proliferation of broadband internet, the speed at which information is exchanged becomes ever faster and the transmission of video via the web has become a tool that most foreward thinking organisations are using to reinforce their brand. Todays high speed information network is a perfect enviromment for an organisation to engage with their customer, and often the first opportunity for a business to do so will be on the homepage of their website. It is a prime window of opportunity for an organisation to communicate its products or services, and their benefits, to customers. Showcase circumstances where the products or services of the organisation have benefited others. In order for your organisation to stand out from its competitors, it needs to be memorable. 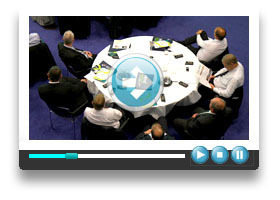 It is important that the quality of your corporate video is complimentary to the professionalism of your organisation. At NisusHD we only produce corporate videos which use a mix of clean looking video and sympathetic audio that helps you to achieve this. The beauty of a corporate video is that it can be distributed via multiple channels including the web, on dvd, via mobile, or displayed in public presentations at shows or exhibitions. A corporate video which defines and reinforces your organisation is generally becoming a necessity rather than a possibility.